Posted on: September 17, 2018 By: Christopher Brown, Esq. A non-compete agreement is a clause in a contract that states a party (usually an employee) agrees not to enter or start a similar profession or trade in competition against another party (usually the employer). An NCC is bound by traditional contract requirements and can, therefore, be held up in court. Virginia non-compete laws are enforced in these ways. Non-competes are created to protect business assets. There are three basic protections an NCC can offer a business, which is protection against shared trade secrets, protection against solicitation of customers, and protection against employee’s working for a competitor. 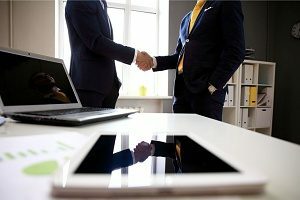 Essentially, they allow a business to train an employee and provide them with skills and contacts to give them an advantage in the business, without having to worry about them leaving and providing valuable information to a competitor. The courts have deemed NCC’s to be legally binding so long as the clause contains reasonable limitations as to the geographical area and time period in which the employee is not allowed to compete. If your contract lacks this specific information, the courts may not enforce the clause. Not all non-compete clauses are exactly the same, and some are far more involved than others. For instance, some clauses have the stipulation that you cannot work for a competitor in your location for a year, while other clauses contain no such specification. Virginia non-compete laws are generally consistent with these parameters regarding NCC’s. There are varying opinions regarding NCC’s, some argue in favor of them protecting businesses, and some argue that they hinder the career advancement of the employee’s. However, regardless of opinion, if you sign a Virginia non-compete clause in, you are subject to the consequences if you break the contract. What is considered “breaking” an NCC is not always cut and dry, so if you are worried about a potential violation, be sure to reach out to an Employment law attorney for more information and their expert knowledge on your case. 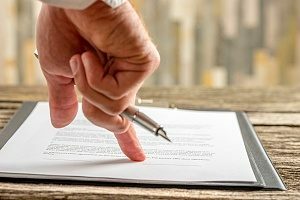 When you sign an NCC in Virgina, you need to be aware of the potential damages that can result from breaching the contract. The most common type of relief sought and granted for breach of a non-compete agreement is an injunction. This means the employer cannot or does not try to prove that there are damages, but rather they as the court to uphold the non-compete agreement and make the employee leave the new employer. When a former employer does seek damages, one popular form of damages is compensatory damages or compensation for the loss of profits due to the breach. This requires the employer to prove that there was an actual loss. Depending on what the employer can prove in court, this can range from minimal amounts to large amounts. Another type of damages is punitive damages for malicious conduct. This requires the employer to provide strong evidence that the former employee was showing malicious conduct. Punitive damages are damages exceeding simple compensation and are awarded to punish the defendant. Liquidated damages are another type of damage employers can sue for. Liquidated damages are provided in a contract as an amount, or formula for an amount, that a party will pay in the event they breach the contract. This means when reading over an NCC in an employment contract, you need to be aware that an employer may include an amount that you must pay if you breach the NCC. A court must decide if a liquidated damages clause is reasonable before requiring you to pay it. Lastly, whoever loses the lawsuit may be liable for court costs and attorney fees. If you have or believe you have violated Virginia non-compete laws reach out to an employment law attorney immediately to find a solution. They can help you determine if you have actually violated the terms of your employment contract, and if you have they can provide you with counsel on how to proceed. In some cases, they may even be able to prove that your actions were not in violation of an NCC. The burden of proof falls on the employer, so this can be an advantage for you if you believe you have breached your contract. They have to be able to provide proof that you intentionally breached your contract. For example, they would have to prove that you deliberately encouraged your clients to follow you to your new company. This can be during your time at the old company or at the new company. Because the burden of proof falls on the employer, this can sometimes be why it is hard to enforce NCC’s. It’s also possible that the wording of your NCC doesn’t explicitly cover your situation, which could offer you a point of argument against the non-compete agreement. If you’re dealing with a non-compete violation, don’t worry as there are still things you can do. Most importantly, hire an employment law attorney to defend you in your case.